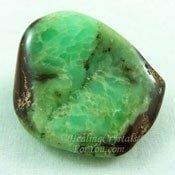 Variscite is a stone with a lovely vibration that will kindle joyous feelings and bring peace and harmony to your heart. It is excellent to aid anyone with stress or anxiety. It enhances life by generating feelings of inner peace, love and compassion. 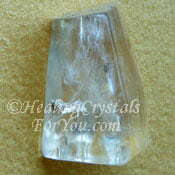 It helps you to find solutions to problems and to have greater trust in the power of spirit. It is beneficial for anyone who is an invalid or who is caring for someone who has been sick for a long time, especially if they are feeling despair about their illness. It is known to help you to discover more about your past lives, particularly in connection to the reasons for your present illness. It is found in Bolivia, Austria, Germany, the Czech Republic and in Australia, as well as in the USA in Arizona, Nevada and Utah, where it is known as Utahlite. The meaning of its name relates to the area in Germany where it was originally discovered. 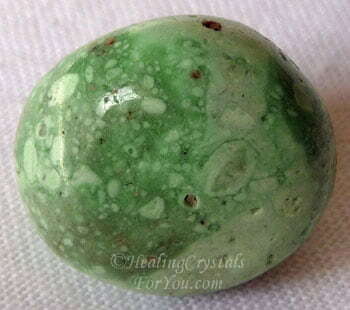 Most of this stone is a green color, and it occurs in a number of different shades from light green through to apple green and a deeper green. 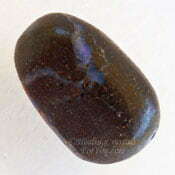 There are even some blue green stones, and less commonly it can also be white or gray, and may have brown inclusions. 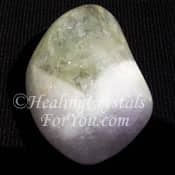 The lovely energy of this stone establishes a connection between the etheric body, known as the lightbody, and the physical body, and stimulates healing on both levels. 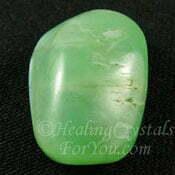 It has a strong healing action at the heart chakra to help you to heal emotional problems. 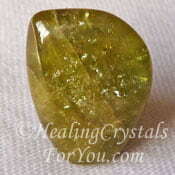 This stone is especially helpful if you are feeling full of despair and unable to find hope for the future. It is a powerful aid to cleanse your auric field, and it creates a connection to the energy of the earth and Universal love, which helps you to release disharmony. 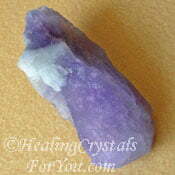 Using one of these stones is one of the powerful practices to relieve stress. 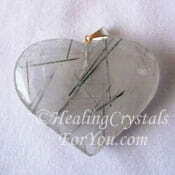 It will open the heart and help you to release negative energy into the light. 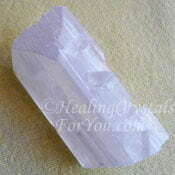 This crystal helps you to feel calm as it has a strong vibration of harmony. 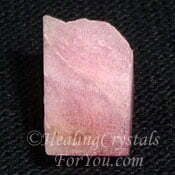 It has a strong action at the thymus or higher heart chakra, where it stimulates feelings of love and compassion. This helps you to rise above any anxiety, depression or stress you may be feeling. Its lovely energy helps you to embrace the joy that comes through to you from spirit. 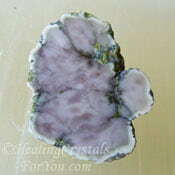 Variscite is easy to buy, and this stone has a harmonious energy that does not need any special way to use it. 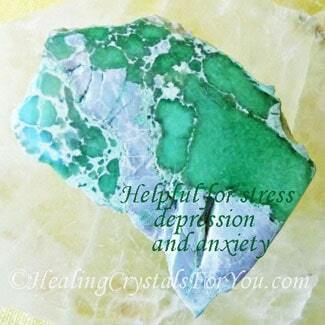 You will benefit by using it in meditation, as Variscite helps to calm your mind and aids you to slip easily into the meditative state. 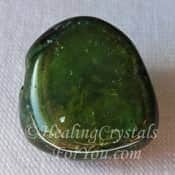 By its strong connection to the loving vibration of spirit, and by aligning you with the energy of the earth, a meditation using this stone will be very helpful. 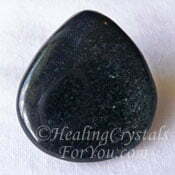 You may find you are enabled to make a connection with past lives while using this stone. This may give you insights into why your life is currently the way it is. 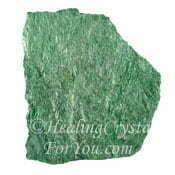 It connects with both the heart chakra and thymus chakra, and this brings through a powerful energy of love and compassion. This is very helpful to assist you to love yourself first, as only by loving yourself can you truly love another. It resonates strongly and connects the etheric body to the physical body. This is beneficial to relieve stress which helps this way of feeling to become a normal state of affairs in your life, and assists you to feel the courage to deal with life's problems. Because it also has a healing action in the body, it is known to particularly help problems of the nervous system.It is said to help male reproductive issues, such as impotence. 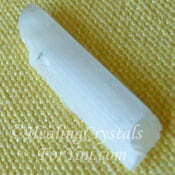 It may help constricted blood flow, and is an aid to regenerate the elasticity of veins and skin. 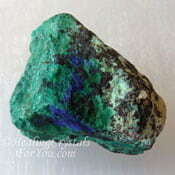 Variscite is also known to aid abdominal distension, and to neutralize acid and to assist gout, ulcers and rheumatism. 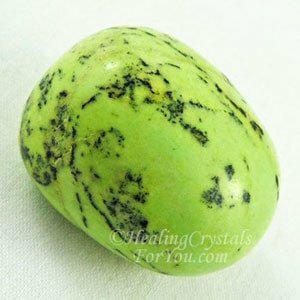 As many of these stones are a more yellow green, they can be helpful to aid manifestation, although they will not bring great amounts of increased wealth. 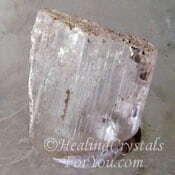 Rather, they are known to manifest ideas that may be helpful for solving problems. By encouraging you to solve any issues you may have, you may manifest the things you have a scarcity of in your life. It has a lovely energy of love and strong compassion that can help to create connections between people who might otherwise find it difficult to find common ground. 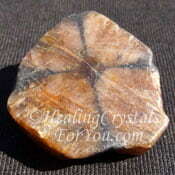 This stone has a positive effect on your auric field, and will clear negativity and disharmonious energy from it. 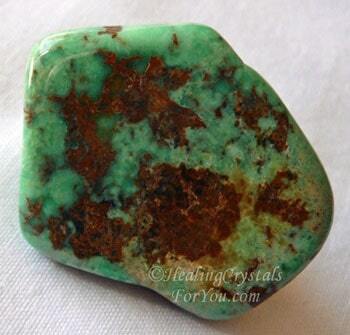 Variscite is helpful to aid you if you are in any type of relationship with others. This even applies to relationships with work colleagues with whom you find difficult to feel any connection. It helps you to feel more congruent with others who may have quite different ideals or beliefs from you. It may bring a sense of community to the situation. Its energy encourages the sense of 'live and let live', and helps everyone to work together and cooperate, regardless of background or beliefs. 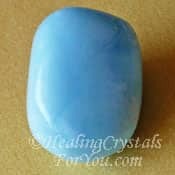 You may like to place a piece of this stone in your pocket, or for the girls, in your bra, as the closer it is to the heart the more you will find that its loving vibration will be of benefit. 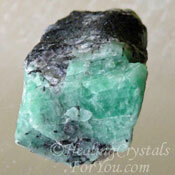 This lovely crystal is on the zodiac birthstones list, and you can buy some truly lovely Variscite jewelry pieces. It will be most beneficial to you, if you wear it close to your heart. 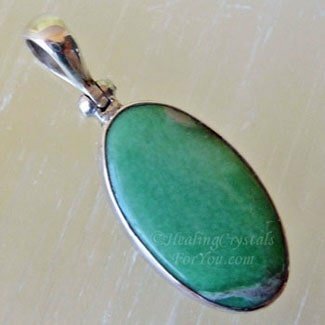 It is possible to jewelry made from this stone, and this stone has such a lovely vibration that it makes a perfect stone to give someone as a gift. 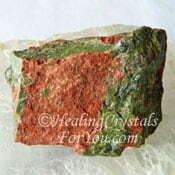 Wearing a lovely Variscite pendant will help to immerse you in its energy. It is a birthstone for a number of different signs including being a Gemini and Scorpio Birthstone as well as a Taurus birthstone, so you are able to buy attractive birthstone jewelry made from this stone. 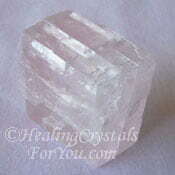 It brings clarity of thought and by releasing stress it encourages a positive mental state by healing your emotions. 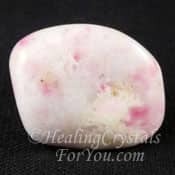 The energy of this stone may aid you to learn better, and to find solutions to difficult problems that you have been previously unable to solve. 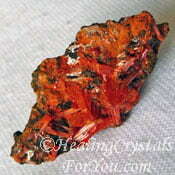 This is a favorable stone to help you if you are suffering from depression, anxiety or stress. 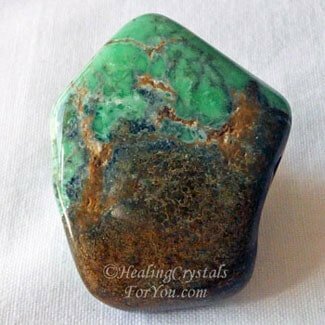 Variscite is a stone with a heartfelt vibration that will give rise to joyous feelings, and bring peace and harmony to your heart. 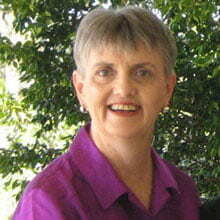 It is advantageous for anyone who is an invalid or who is caring for someone who has been sick for a long time. It may be especially helpful if the person who is sick is feeling disheartened about the length of their illness. It is known to help you to learn more about your past lives, particularly in connection to the reasons for your current illness. 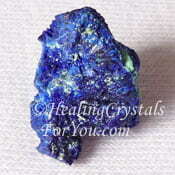 It aids you to find solutions to problems and to have deeper trust in the power of spirit. It enhances life by generating feelings of inner peace, love and compassion. "Love is the only sane and satisfactory answer to the problem of human existence." Eric Fromm. 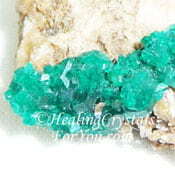 Use it with the lovely green Dioptase crystals. 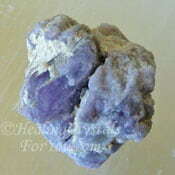 These are potent thymus or higher heart chakra stones, that stimulate stronger feelings of compassion towards others. 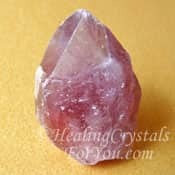 To accentuate its loving vibration you may choose to combine it with crystals that have a similar energy, including any of the other heart chakra stones. 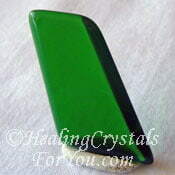 Many of the green heart based crystals are very helpful to combine with it. 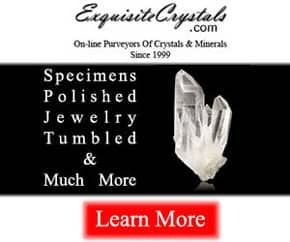 Stones such as Green Moonstone, Green Calcite, Green Tourmaline Stone, Emeralds, Gaia Stone, Amegreen, yellow or green Hiddenite or Chrysoprase would be good choices. 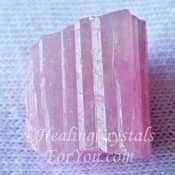 Other useful stones that you may like to combine it with, includes some of the lovely heart or higher heart pink crystals. 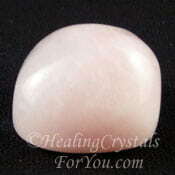 Stones such as Pink Tourmaline, Rose Quartz, as well as Pink Calcite, Pink Danburite, Pink Tugtupite or Pink Kunzite. 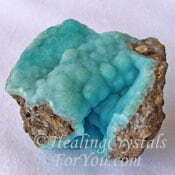 Use it with Turquoise Stones to help you to understand and heal yourself if you lack self love. 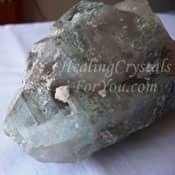 There are a large number of other crystals that work well with it, as it has such a strong loving vibration that is beneficial combined with a number of other stones. 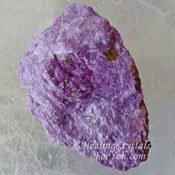 In particular other heart and thymus chakra stones, such as Lepidocrocite, Crocoite, Ajoite, Eilat Stone, Unakite, Vivianite, Blue Hemimorphite, Stichtite and Azurite will combine well with it. 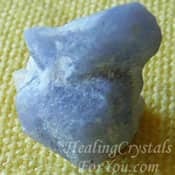 To help how this stone works to assist you to find solutions to difficulties in your life, combine it with other crystals that aid problem solving. 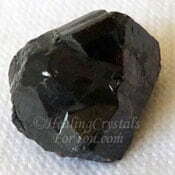 Use stones that are helpful for this purpose such as Muscovite, Cassiterite, Chiastolite also known as Cross Stone, Datolite, Zebra stone, Fuchsite, Spurrite aka Strombolite, Ulexite, Hackmanite, Thulite, Scapolite, Sphene aka Titanite, Afghanite, Tourmilated Quartz and Blue Aragonite.